What is the Christian Elder Memorial 900? 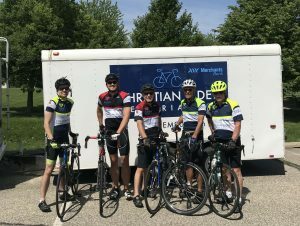 The Merchants Bank Christian Elder Memorial 900 (CEM900) is an annual charity bicycle ride covering 900 kilometers in nine days for the benefit of Kids ‘n Kinship, a non-profit mentoring organization based in Dakota County, Minnesota. The mission of Kids ‘n Kinship is to provide friendships to children ages 5-16 in need of positive role models. 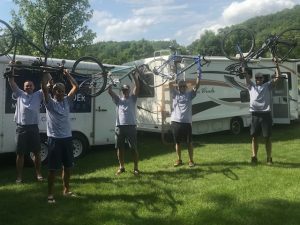 The CEM900 was founded in 2006 by John Elder, who pedaled with long-time friends, Ken Dean and Tom Behan, and support driver Gordy Clough, from Wolf Point, Montana to Apple Valley, Minnesota, raising over $16,000. 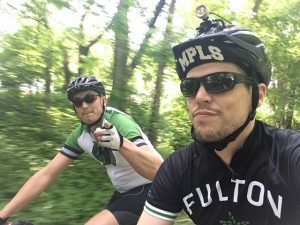 The CEM900 has evolved from a ride on county roads and trails in Missouri, Iowa, Illinois, South Dakota, Nebraska and Wisconsin in the early years, to a ride exclusively on trails in northern and southern Minnesota in recent years. The CEM900 has grown in participants from two riders in 2007 to a peak of 12 riders in 2016, along with four support drivers. Likewise, the amount raised has increased nearly every year, totaling more than $45,000 in 2017, with 100% of donations going directly to Kids ‘n Kinship. 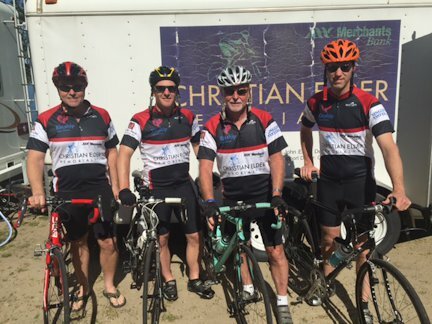 Merchants Bank has been the title sponsor of the CEM900 each and every year since the inaugural ride in 2006. Kids 'n Kinship provides friendships and positive role models to children and youth ages 5-16 who are in need of an additional supportive relationship with an adult. The Welcome Home Reception for the 2018 CEM900 team is scheduled for Friday, June 8th , from 11:30 a.m. until 1:30 p.m. at Merchants Bank, 14990 Glazier Ave #100, Apple Valley. Please join us to celebrate and welcome the bike riders home from their 900 kilometer ride in support of mentoring! It’s a great opportunity for us to thank our supporters and to relive some of the trip’s highlights.